Your oasis in South Beach, close to everything. 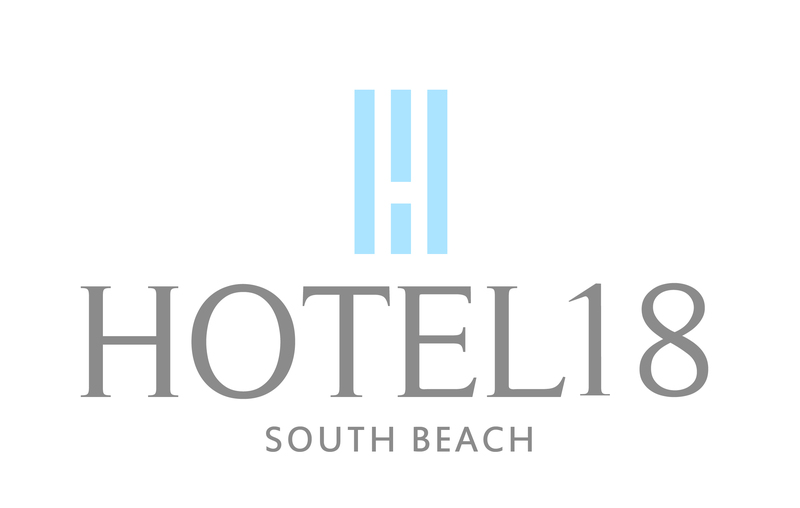 Close to all that South Beach has to offer, Hotel 18 provides a quiet and comfortable respite for relaxation after a day at the beach, shopping or a night out. Our boutique hotel is just a short walk from Miami’s wide clean beaches, outstanding restaurants, the Convention Center and Lincoln Road. We take great pride in assisting you with making your stay memorable, our staff is here 24 hours a day to ensure you have a spectacular experience. Call us today at 305-672-2789 to reserve your room! Please see PROMOTIONS tab for discounts! All you need for a great stay - cozy studio space and room to prepare your own food and coffee each day. Studio features 2 twin beds, a kitchenette and a flat-screen TV. Studio features a kitchenette and a flat-screen TV. This apartment has a futon in living area, full size kitchen, and 2 cable TVs. Good for summer travel dates July 15 through September 30, 2016 - must be a direct booking on this website. No 3rd party discounts. Current promotions at Hotel18 - no PROMO code is needed! Operated by Live Nation, The Fillmore Miami Beach at the Jackie Gleason Theater showcases the biggest names in live entertainment. Steeped in rock ‘n’ roll history, the theater passionately combines the rich tradition of the Fillmore Experience with the energy and passion of Miami Beach. Great local grocery store chain - there are 3 on Miami Beach - free parking. Across from Hotel18 and located in the heart of the historic South Beach Art Deco District, the Miami Beach Convention Center is a meeting, convention, trade show and consumer show paradise. This open-air pedestrian mall is considered South Beach’s premiere shopping area. It is home to restaurants, retail, and several night clubs, Lincoln Road has been an arts and cultural center since the 1980′s. With its unique boutique shops and restaurants, it has had “an esoteric chic that maintains its trendy appeal.” (ref. Ocean Drive Magazine) Just a block away from Hotel 18, Lincoln Road is located in between 16th and 17th Streets. Washington Avenue is one of the best-known streets in South Beach. Running parallel to Ocean Drive and Collins Avenue, Washington is notorious for having some of the world’s largest and most popular nightclubs, such as Cameo and Mansion. Washington Avenue is also home to countless shops, hotels, and such noted architectural features as New World Symphony and Temple Emanu-El. Book direct with us now! Book direct - and receive our personal attention to your reservation.